SMART DESIGN Spice shelves adjust up and down to suit you. 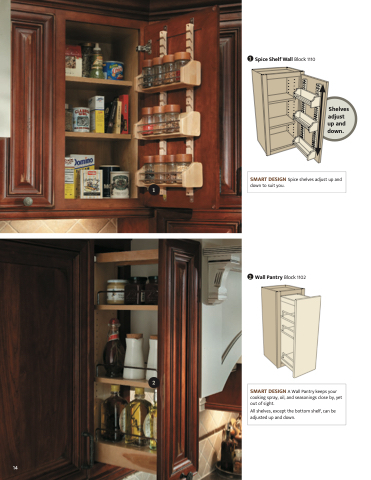 SMART DESIGN A Wall Pantry keeps your cooking spray, oil, and seasonings close by, yet out of sight. All shelves, except the bottom shelf, can be adjusted up and down.